Do you want me to show you how to redecorate your home for free? While I can’t necessarily do that, I do have the next best thing in mind. We’ve all been there. Not necessarily looking to redecorate via purchases, but feeling a little bored with the same look within our homes and wanting to change things up a bit. My hope is most of us should have many of the items I am about to cover with you. 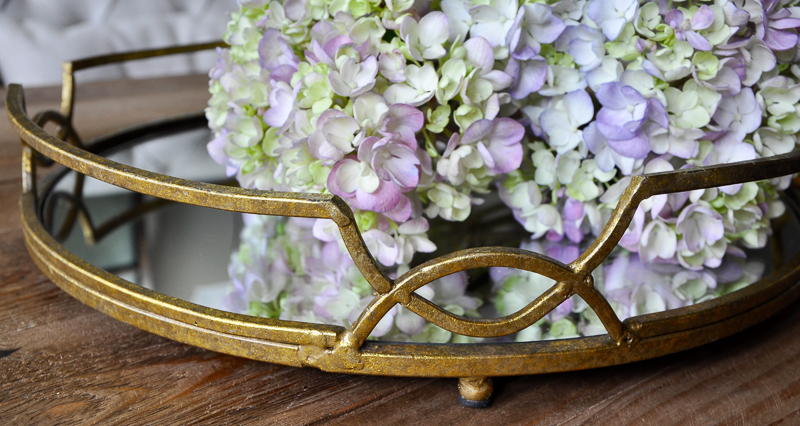 When I think about accessories, I always look for things that will work in various rooms throughout our home. 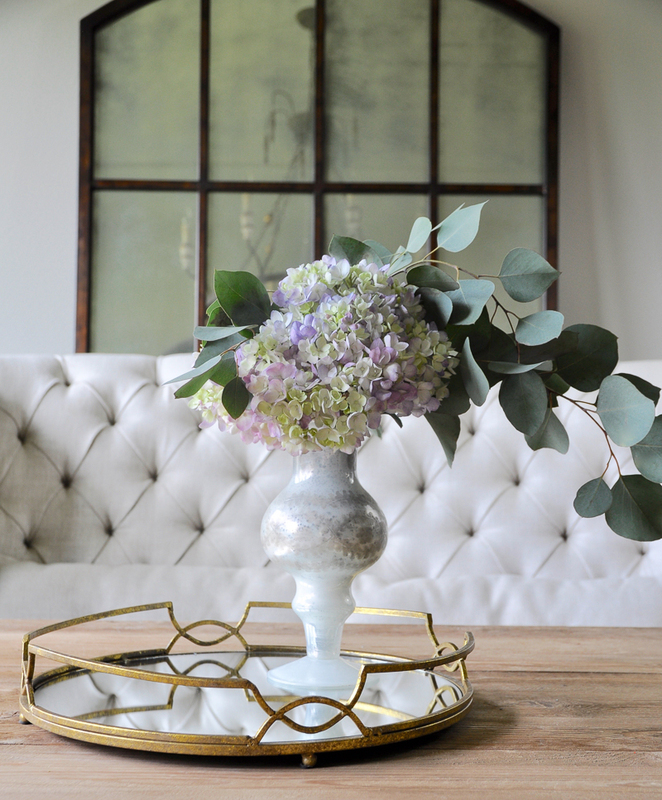 With this in mind, today I want to share a few quick and easy tips with you which will hopefully inspire you to refresh or even redecorate the look of some of your favorite rooms within your own home. 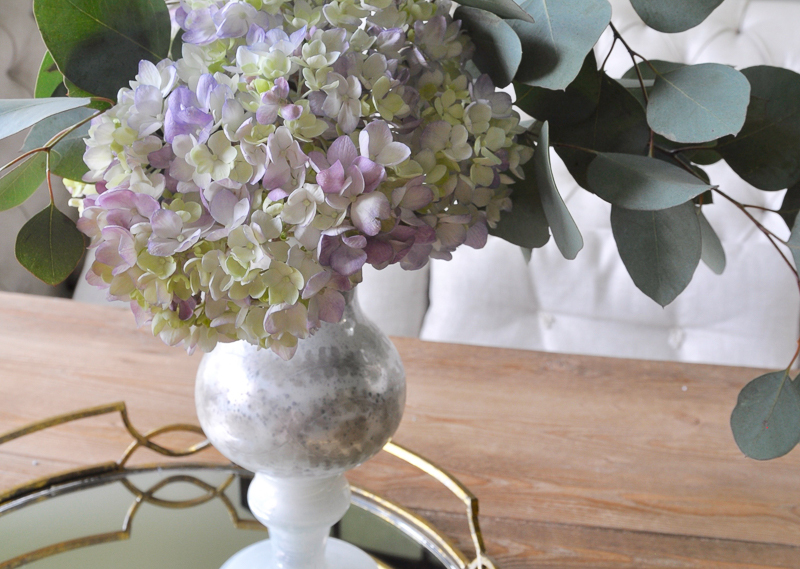 This is an easy way to add interest to virtually every surface in your home. 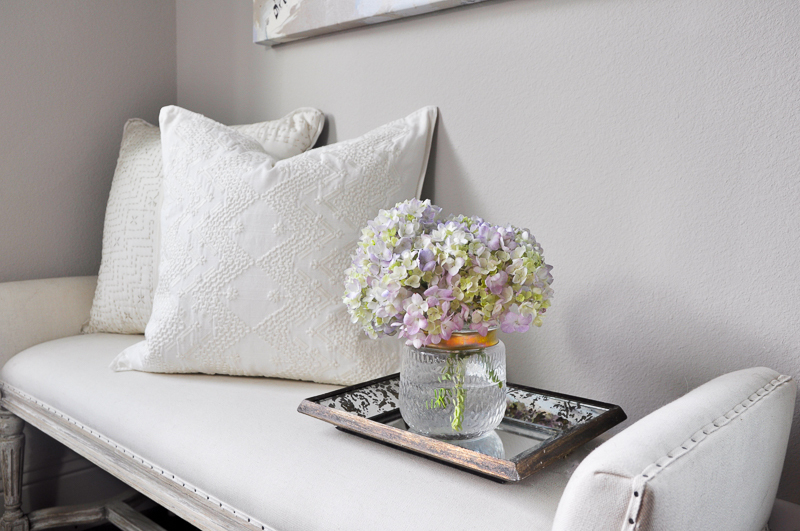 From the coffee table to the kitchen island, from the bathroom counter to your bed, all you need to add is a vase and a simple bouquet of flowers. 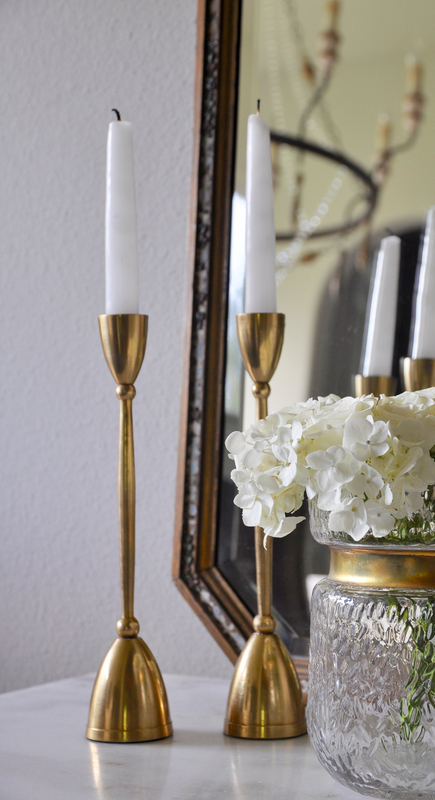 Click HERE for a full tour of my Dining Room and HERE for Sources. Click HERE for a full tour of my Kitchen and HERE for Sources. You had to know this would be on the list. 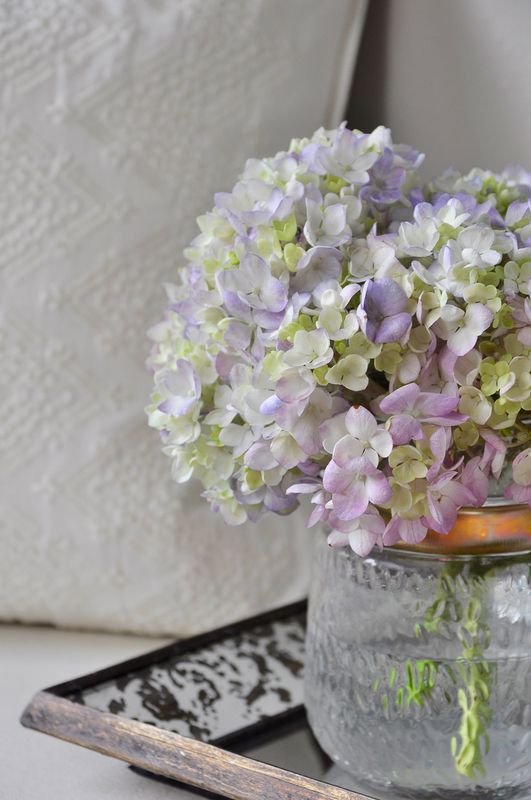 Flowers (especially grocery store flowers) are an inexpensive way to bring a vibrancy into every room. …or move around the ones you currently have. 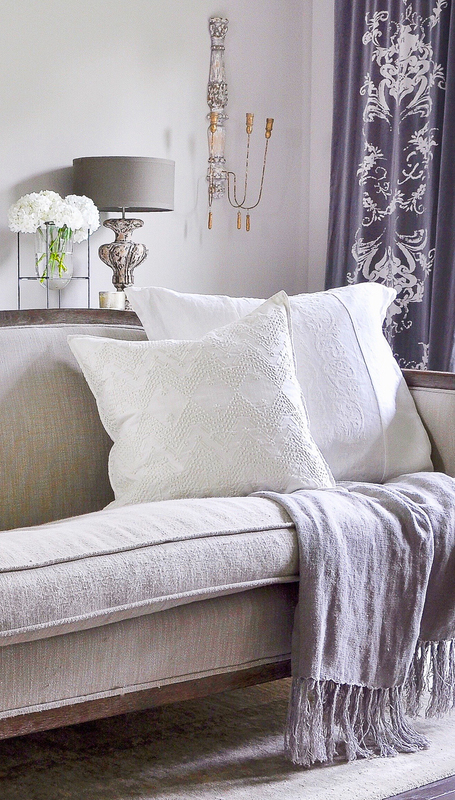 Are you possibly like me…a bit of a throw pillow hoarder? It’s hard for me to leave Pottery Barn or Anthropologie without a new one in tow. When I do bring one home, though, I always ask myself, can this be used to redecorate multiple places in my home? 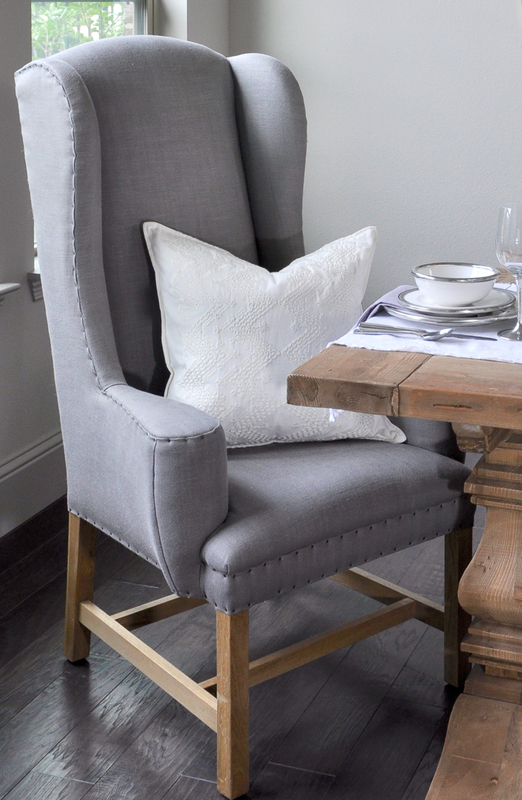 Bed, bench, dining chairs, the hearth…the options are plentiful. I’ve used the same pillow in my dining room and bedroom. It’s one of my favorites because it is so versatile. Click HERE for for Master Bedroom Sources. Is there anything more mood centric than candlelight? 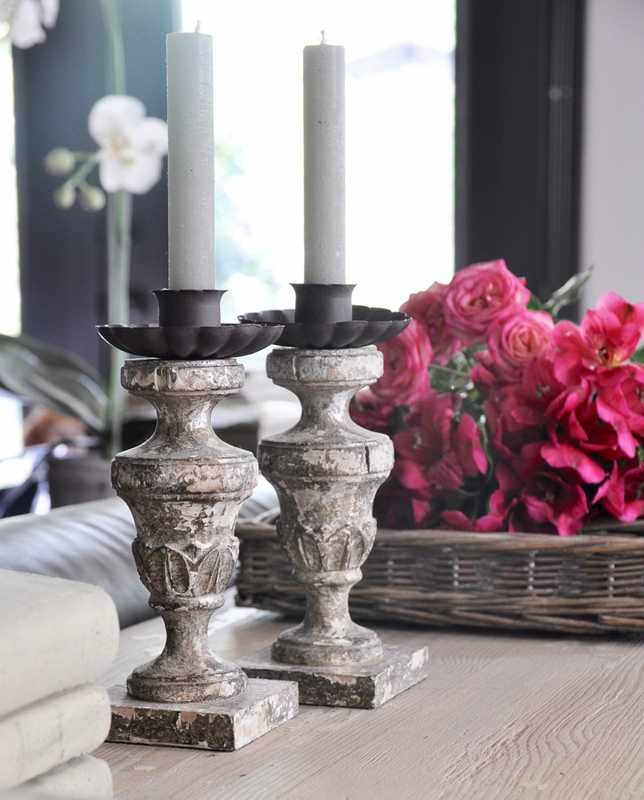 You don’t have to wait until you entertain to find your beautiful candlesticks and put them to work. This is another item that works in a variety of settings in your home. Also, the occasion does not need to be formal. Perhaps this was free after all! These tips feature items that most of us already own. The next time you are perusing your favorite store, think about how versatile that accessory can be before you decide to purchase it. Until next time, thank you for reading Decor Gold Designs and please find me on Instagram for daily home decorating inspiration. Happy redecorating! Mine too! Nothing has a permanent spot around here! Great tips! I was shopping my home today for Fall! 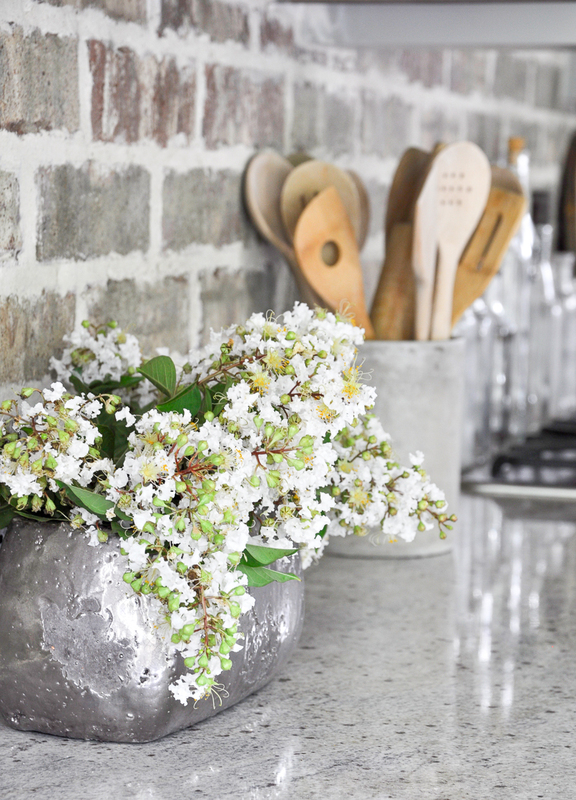 I am wondering if your brick in the kitchen backsplash is hard to clean? Do you have oil, red pasta sauce ever splash up on it? Hi Jodi! We don’t really fry food so I haven’t had oil splash on it. I keep the vintage glass bottles behind the stove to help with splashes. I’ve never had to try to clean anything big off of the brick, but the small splatters are no problem. I hope this helps! 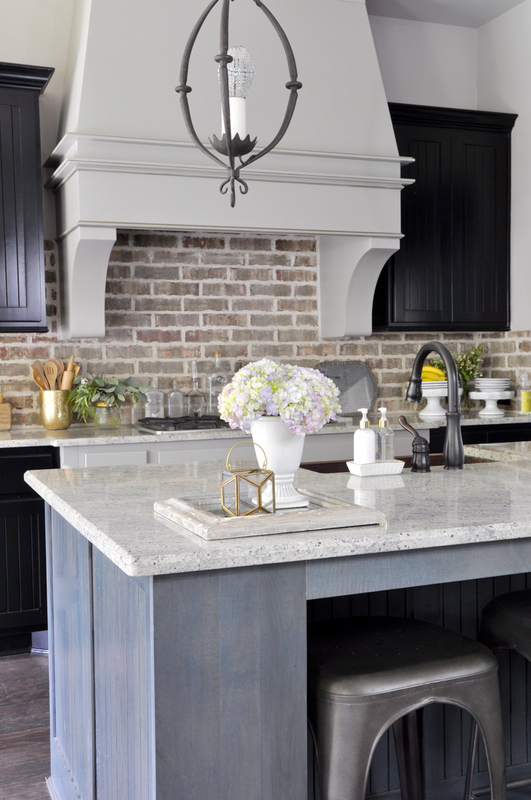 Love the brick back splash! Is it brick veneers? Also, what’s the color if ordered olnline? Hi Cheryl! Thank you! It is actual brick by ACME.